No new web site is necessary. Simply integrate your existing web site with our payment system and your users can pay using multiple methods, all securely processed through PayPal. Citizens can make a payment using any of the 4 major credit cards, their PayPal account or PayPal Credit account, or with an electronic check using their checking account. 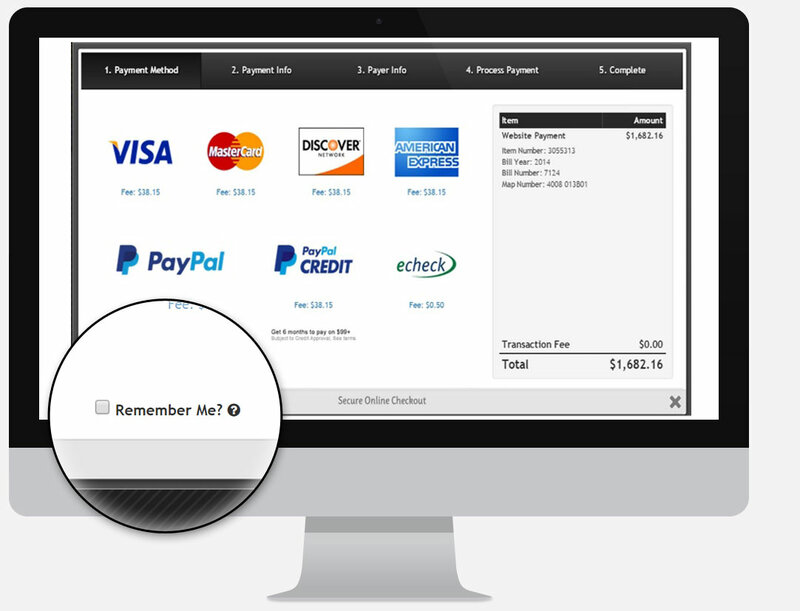 As an added convenience, your users can use PayPal’s reference transaction technology. When they click “Remember Me”, each time they come back to your site, they can make a payment with the last used method they entered, which saves the user from entering their payment and personal information again. This is all accomplished securely via PayPal, without your local government holding any credit card information. Once that payment is completed, you immediately have the information you need reporting in your client portal. You can balance by any time frame and download reports to a spreadsheet or pdf format. The portal features many ways to analyze, search and reconcile your payment information.